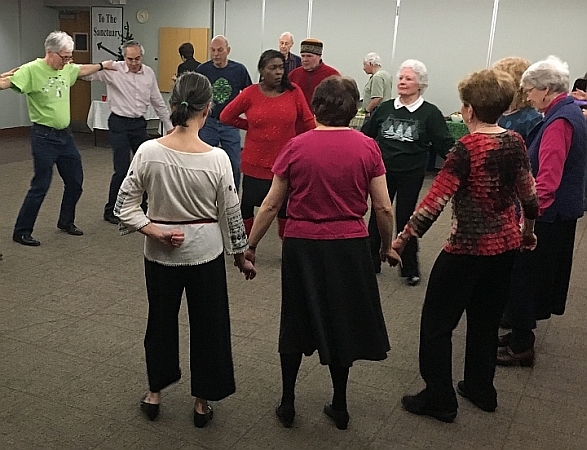 Come join a fun and welcoming social dance group. 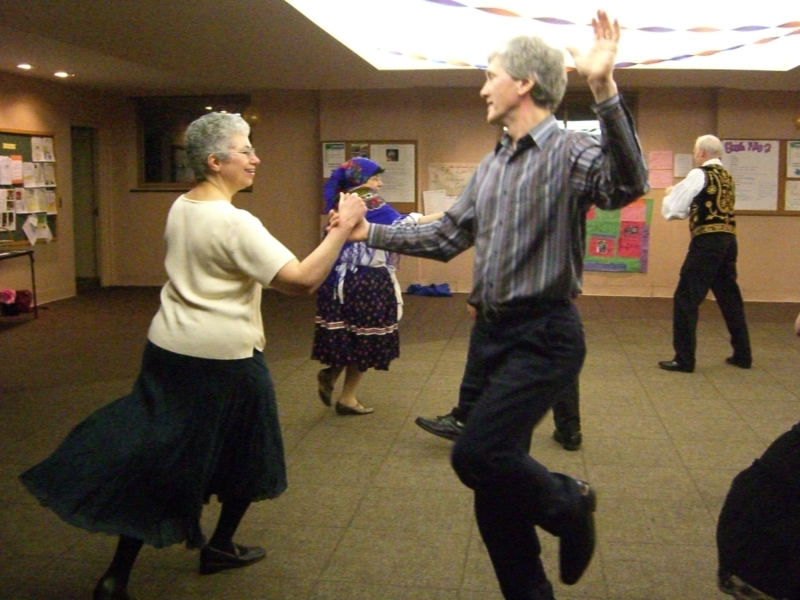 The majority of our dances do not require a partner! Dance ensemble from Romania will be in Syracuse Thursday, April 25, 2019. 6:30 - 10:30 pm. Plaiurile Dornelor Ensemble from Vatra Dornei, Romania will teach and perform Romanian dances. The folk group was founded in 1977 at the Clubul Copiilor (Children's Club) to teach traditional Romanian music, dance and crafts to children ages 7-18. The winners of many Romanian dance competitions, they have performed at international folk festivals throughout Europe and have also appeared on local and national radio and TV programs. Folk dances from all regions of Romania will be presented along with unique folk traditions of Bucovina. Dancing will be to live music. The performance/workshop will be held at The United Church of Fayetteville, 310 East Genesee Street, Fayetteville, NY. Bring a dish to pass for a potluck dinner starting at 6:30 pm. Workshop and performance to follow. Sponsored by the Syracuse International Folk Dancers. Donations welcome to help defray expenses. To print a flyer in PDF format, Click Here. Check out our Periodic Table of Dances! Take a look at our Scandinavian dance group "Scandia" at one of their performances. Thursdays from 8:00 - 10:00 pm, except major holidays. Generally 8:00 - 9:00 is dance and teaching, 9:00 - 10:00 is request dancing. $5.00 fee ($2.00 for students.) First night free! 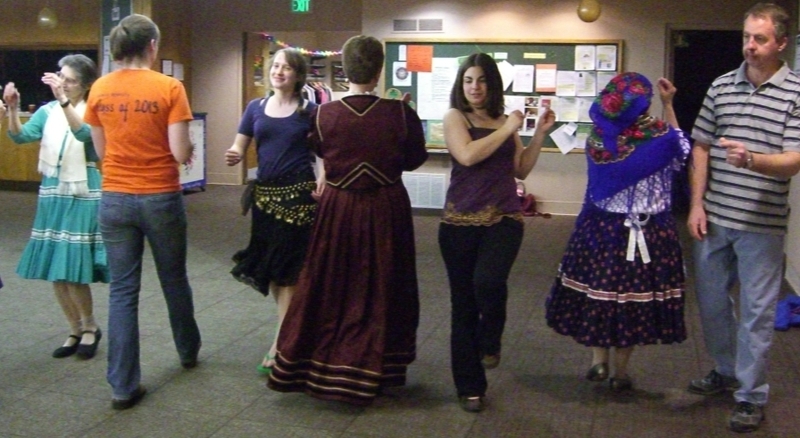 Circle, line, and couple dances from around the world, especially Eastern Europe, The Balkans, Israel, Scandinavia, Greece, Russia and The British Isles. Anyone looking for the fun of a dancing challenge with a friendly group of people! And you can have a great time while getting exercise!